Description: The flowers are in clusters at the stem tips. 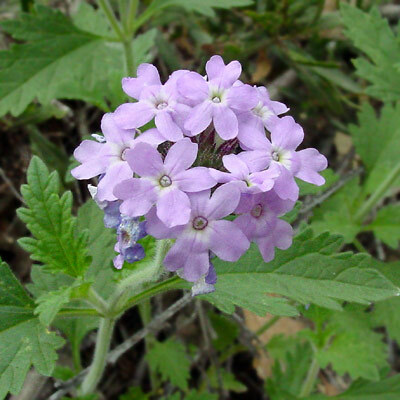 The individual flowers are tubular, 1/2 inch (1.3 cm) wide, and have 5 notched lobes and a corolla tube slightly longer than the calyx. The leaves are green, toothed, softly hairy, triangular in shape, and either 3 to 5-lobed or pinnately dissected. The stems are square and hairy. 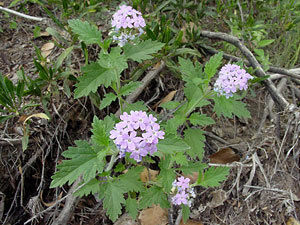 The similar Dakota Mock Vervain (Glandularia bipinnatifida) has bipinnately dissected leaves.